Ron/Hermione fã Art. . Wallpaper and background images in the romione club tagged: ron hermione romione fan art harry potter. Finally!!! It happened! I've been waiting for this! me to it took for ever!! quiero ver el beso en el cine! !pero faltan 6 meses!!! 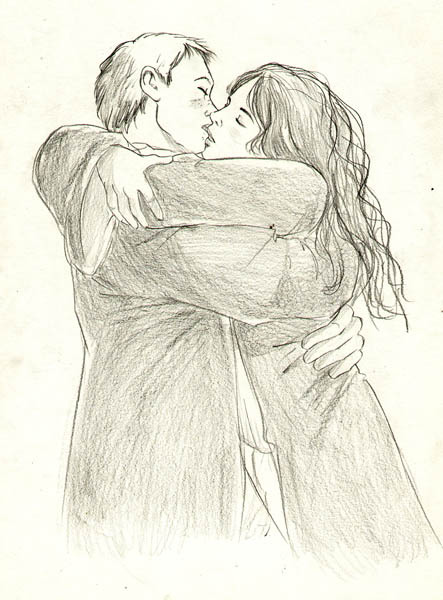 I want to see the kiss in the movies! but in 6 months!